Keeping your cash organized can be a pain. It always makes your wallet too fat! A money clip will quickly solve your problem. It's small, classy, and easy to take with you on the go! Get it for yourself or give it as the perfect gift for dad or the husband. 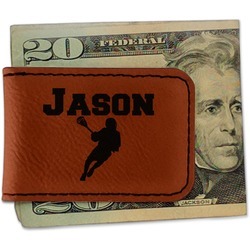 The money clip measures at about 1.75" x 2.5" when closed; the perfect size for holding some folded cash. The money clip holds your cash by a strong magnet in either side of the clip. It is a leatherette material that feels smooth to the touch. The shade of brown is a beautiful cognac color that will surely catch some eyes. 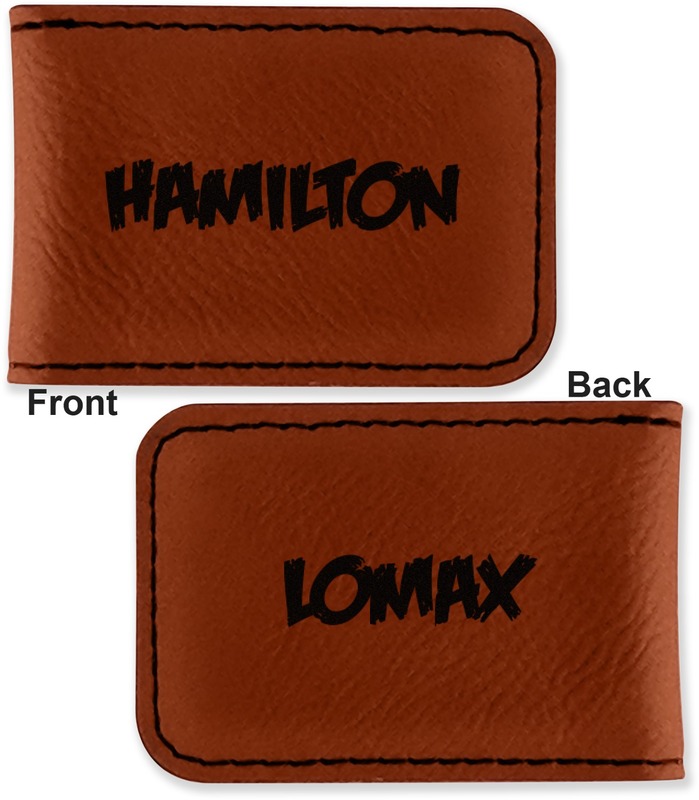 Your money clip will be laser engraved so that the design you choose will come out black. Find a fun graphic, monogram, or font to use to personalize your money clip either on just the front or the front and the back. If you need any help in our design center don't be afraid to ask! We have a wonderful team of customer service associates that are always happy to help. Not quite the right gift for you man? Be sure to check out our bifold leatherette wallet and phone wallet. Don't miss our Gifts for Him section either! There are some great options for the perfect personalized gift. LOVE the personalized money clips I ordered and I’m sure my Grandsons will too! I placed my order Friday and received it the following Tuesday! Great quality items!